The goal of my research is to develop the theory and political economy of environmental economics and international cooperation: On the one hand, economic theory is necessary to analyze environmental problems; on the other hand, environmental solutions necessitate the development of new theory and methods. Naturally, political economy is necessary to understand what policies that are implementable and how treaties should (and will) be designed. Below, I classify my research in four parts: In (1-A), my co-authors and I develop dynamic games to study the interaction between emissions, technology, treaties, and policies, while (1-B) analyzes the supply side and the fundamental problems when it comes to regulating extraction vs. conservation. We also study (2-A) the political economics of agreements and federalism and (2-B) the political economics of regulation and policy instruments. My 2012-2016 ERC grant included part (1-A), the 2016-2021 ERC grant includes part (1-B), and each of them includes the corresponding political economy perspective. The following brief overview describes this research program and the complementarities between the papers. (For a chronological list of the papers, see my CV). Pollution and technologies are accumulating over time, so the interaction between them is fundamentally dynamic. Article  presents a tractable framework for studying emissions, investments in green technology, negotiations, and renegotiations (illustrated in Figure 1). Investment and emission decisions are made sequentially and countries can also negotiate on emission levels. Caps on emissions motivate investments, but large sunk investments lower the equilibrium caps in bargaining games. Anticipating this, countries invest less when they approach the next round of negotiations. For this reason,  shows that short-term agreements can be worse than no agreement, and that the optimal duration is longer when investments are important and technological spillovers large. (This creates a link between climate treaties and agreements on trade and intellectual property rights.) The duration is also related to the number of participants, as illustrated in Figure 2: If few countries decide to cooperate, the participants prefer a short-term agreement, as they hope for a larger coalition in the future . Since short-term agreements lead to falls in investments, as explained in , this credible threat makes free-riding unattractive. This reasoning in  can explain why the coalition size is much larger than predicted by static models or when the investments are contractible. In other words, incomplete contracts can be beneficial since they make free-riding costlier! The Paris Agreement of 2015 is very different from the Kyoto Protocol of 1997. In , I argue that the difference in bargaining procedure can be rationalized and that this difference, in turn, can explain why the two agreements also differ in four other respects. In international politics, even incomplete contracts may be difficult to enforce. If the agreement must be self-enforcing, then technology will influence the temptation to “cheat.” The harder it is to sustain cooperation, the more (less) countries should and will invest in green (“brown”) technology to make cooperation credible . Using technology as a commitment device can also be beneficial for single decision-makers with time-inconsistent preferences, as under hyperbolic discounting . My first findings on this topic are related to real-world climate agreements in  and , while  surveys some of the theoretical literature. A more updated text will eventually appear in a planned book. 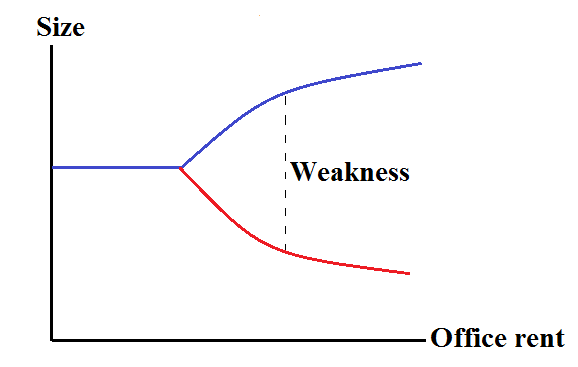 Figure 1: Example of one period in a dynamic game with emissions, investments, negotiations, and renegotiations. 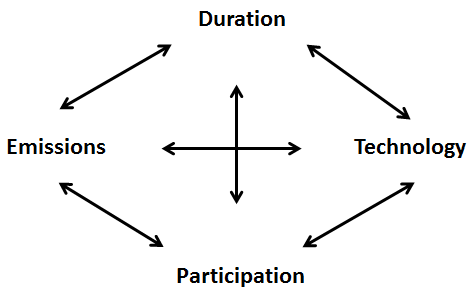 Figure 2: Emissions, investments in technology, duration of the treaty, and participation, are all interconnected in . The traditional approach to environmental policy focuses on emission regulation, even though this leads to carbon leakage, free-riding, and under-investments in technology by nonparticipating nations. If a coalition instead reduces its extraction level and purchases reserves in other countries, then their supply functions become locally inelastic, as illustrated in Figure 3. As a consequence, all these obstacles can be circumvented and the outcome may be first best, as shown in . It may thus be surprising that we don’t see more of this policy in reality, but  uncovers a fundamental inefficiency in the market for conservation: In a dynamic setting, a resource owner will conserve when payments are likely to be offered in the future, but this makes it tempting to postpone payments. In equilibrium, a forest, for example, will be cut with some positive probability, or gradually cut at some rate, as in Figure 4. Conservation contracts are relevant for fossil fuels as well as tropical forests. investigates how conservation contracts should be designed for various resources and political systems, but  shows that the contracts may also influence the choice of political institutions. In a work-in-progress with N-C Framstad, we prove that, even if it is first best to start extracting from the low-cost reserves, the equilibrium conservation contracts sequence extraction according to the size of the various resource stock, since this allows the principal to save on the transfers. This line of research continues through the 2016-2021 ERC grant. Other current projects focus on conservation agreements, conservation contracts, and the political economy of conservation. 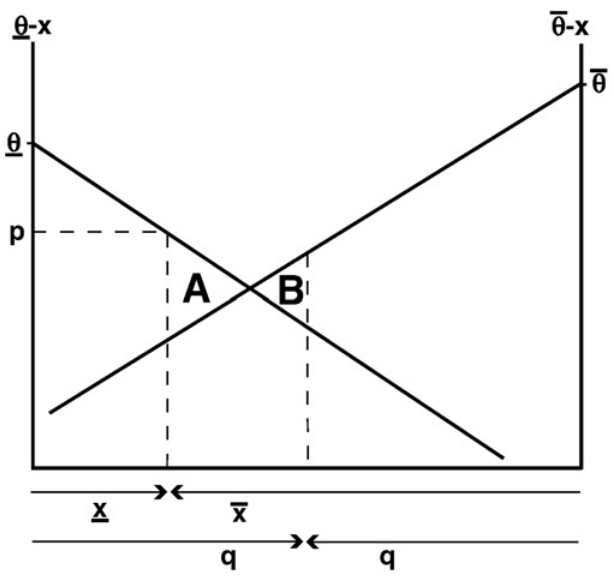 Figure 3: If a climate coalition M purchases some reserves from country i, both supply-functions (C') shift, and i’s supply function becomes locally inelastic . 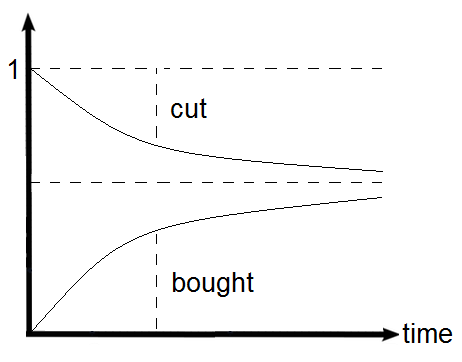 Figure 4: As time passes, more forest is cut even though more is also paid for . Politics take place at international, national, and local levels. International treaties may influence domestic elections, and  explains why incumbents may prefer to sign a “weak” treaty that is intentionally poorly enforced. If the rents of winning office is large, one may strategically sign large treaties that are weakly enforced (Figure 5). Conversely, elections may affect international policy making: obtaining bargaining power by strategic delegation is especially beneficial when a lot is at stake, so allowing for side transfers can be detrimental for efficiency . Fortunately, a careful design of voting rules can restore the incentive to elect representatives sincerely . The optimal majority requirement in , and arguably in the EU, balances the incentive to improve one’s bargaining power with the importance of being included in the majority coalition. With such a balance, the optimal voting rule also solves the classic hold-up problem in economics . Majority requirements can be combined with minimum participation thresholds, such as those frequently used for environmental treaties, and  shows how the two thresholds should be optimally combined. Much of this research has been inspired by organizational economics, which I have also worked on (), and  explains how the above-mentioned papers contribute to the literature on incomplete contracts. Games between countries are similar to games between districts, so this research is equally relevant for federal systems. Policy harmonization and the lack of explicit side payments have often been mentioned as weaknesses and puzzles of centralized policy making, but these constraints can facilitate negotiations under asymmetric information  and improve representativeness . Furthermore,  shows that harmonization can even enhance on innovative policy experimentation since a district will invest more in its own policy experiment when future federal policies build on local successes. Because of this effect, heterogenous districts may also select policy experiments that are more useful for other districts, as illustrated in Figure 6. Figure 5: With larger office rents, the equilibrium size of the treaty is larger (blue), but compliance is lower (red) . Figure 6: With large heterogeneity h, the types of local experiments (x) may converge under centralization . A better understanding of political forces is naturally crucial for pinpointing regulation that is politically feasible as well as effective. For example, while Pigou taxes are typically recommended by economists, standards and quotas are more frequent in practice. These policies may allow governments to (re)distribute just as they please, but  shows that markets fail to work efficiently when this is anticipated (Figure 7). At the same time, efficient and popular policy instruments might be hard to repeal in the future, if the need for intervention happens to be reduced, so reluctant veto players will be unwilling to introduce them in the first place: Inefficient instruments, such as quotas, will be easier to repeal, and thus they are more acceptable, as illustrated in Figure 8 . Regulatory feasibility will also hinge on the extent of corruption, lobbying, activism and self-regulation:  explains why firms are more likely to lobby in developed economies, but to bribe in developing countries, while  rationalizes why there is more activism, boycotts and self-regulation in the US, while public regulation is more common in Europe. In a nutshell, our explanation is that because of a more competitive environment in the US, it is costlier to be singled out in a campaign, and thus activists are more effective and firms prefer to self-regulate. With more private politics, the need to intervene with public regulation is reduced. Figure 7: When permits are free, the distortions (A) in the permit market can outweigh the gains from trade (B); . 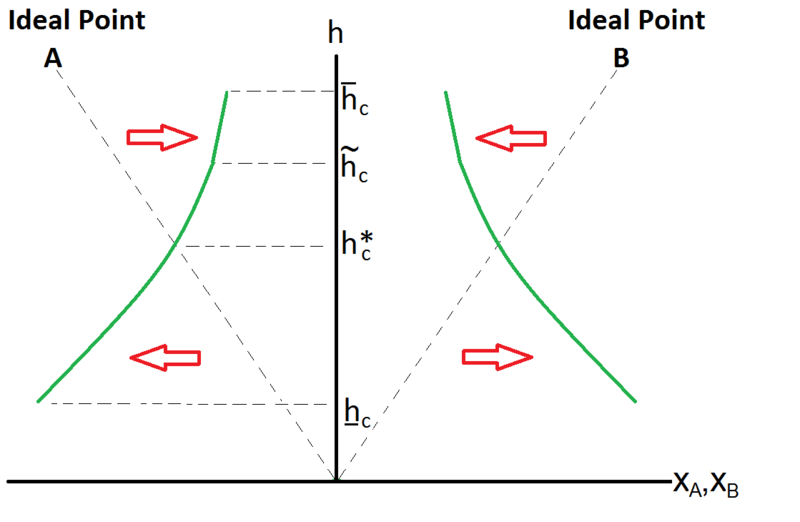 Figure 8: If the benefit of policy intervention is given by the state of the world, then a quota is repealed when the state is small, while a more cost-effective Pigou tax is repealed only when the state is very small. Therefore, a quota is acceptable when the state is high, while a tax is acceptable only when the state is very high; see . Every other year, I am organizing bi(sub)disciplinary workshops where the presenter is from one (sub)field while the discussant is an expert in the other. In 2018, the workshop was on the Political Economy of the Environment. The relevance of political economy papers was discussed by environmental economists, while the politics of environmental policy was discussed by political economists/scientists. The 2016 Theory & Environment Workshop invited top theorist to present papers discussed by environmental economists, while leading environmental economists presented papers discussed by theorists. The purpose of these x-discussions was to motivate environmental economists to employ the best and most recent methods available in economic theory, and inspire economic theorists to develop models that provide insight on environmental problems. A similar workshop on Ethics and Environmental Theory was organized in 2014. My teaching and the need for teaching material have inspired most of my research, whether I’ve been teaching MBA students in the US or graduate students at Northwestern and in Oslo. I have taught political economics, environmental economics, and microeconomics, and my research have also focused on these areas. I try to contribute to themes that are missing but ought to be on the syllabus, and most of the published papers below have appeared on external PhD classes’ reading lists. Some of this material attracted PhD students from many European countries to my minicourse in 2014 and 2017. In 2019 I'll teach on these (and other) topics at MIT. At the time being, I also work on a planned book building on the theoretical framework explained in Section 1-A, above. Private Politics and Public Regulation with Georgy Egorov, forthcoming in Review of Economic Studies. Conservation Contracts and Political Regimes, with Torben Mideksa, accepted, Review of Economic Studies. Compliance Technology and Self-enforcing Agreements, with Francesco Lancia and Alessia Russo. Journal of the European Economic Association 17(1), 2019. The Political Economy of Weak Treaties with Marco Battaglini. Forthcoming JPE, 2019. Gridlock and Inefficient Policy Instruments with David Austen-Smith, Wiola Dziuda, and Antoine Loeper. R&R'ed Theoretical Economics, 2019. Technology and Time Inconsistency, conditionally accepted, JPE. Contracts and Induced Institutional Change, with Torben Mideksa. To be resubmitted to the RAND Journal of Economics. Improving Paris: Credibility, Technology, and Conservation Coping with the Climate Crisis (Arezki et al., Eds. ), 2019, Columbia University Press.